Micro-Hotels Are On The Rise, But Would You Book A Room? Finding the perfect place to lay your head on a trip is an essential item to check off while you are planning your to-do list. Most people are looking for a hotel that is reasonably priced, clean, and close to the city’s hot spots. But let’s talk about space. As cities grow and real estate becomes more expensive, brands are leaning into a design model that comes out of Japan and Europe: micro-hotels. Japanese capsule hotels like 9h were among the first to offer travelers compact, well-designed spaces at reasonable price points. The concept has become somewhat of a blueprint for hotels moving into the micro-hotel space. Brands like The Pod Hotels were some of the first to launch their 100 square foot rooms in cities like New York and D.C. What The Pod Hotel lacks in space, they make up for in free wifi, modern decor, and well-designed rooftop bars serving hand-crafted cocktails. Yotel Hotels is also bringing the capsule hotel culture to the travel scene by offering landside and airside options from 75 square feet to 110 square feet domestically and abroad. 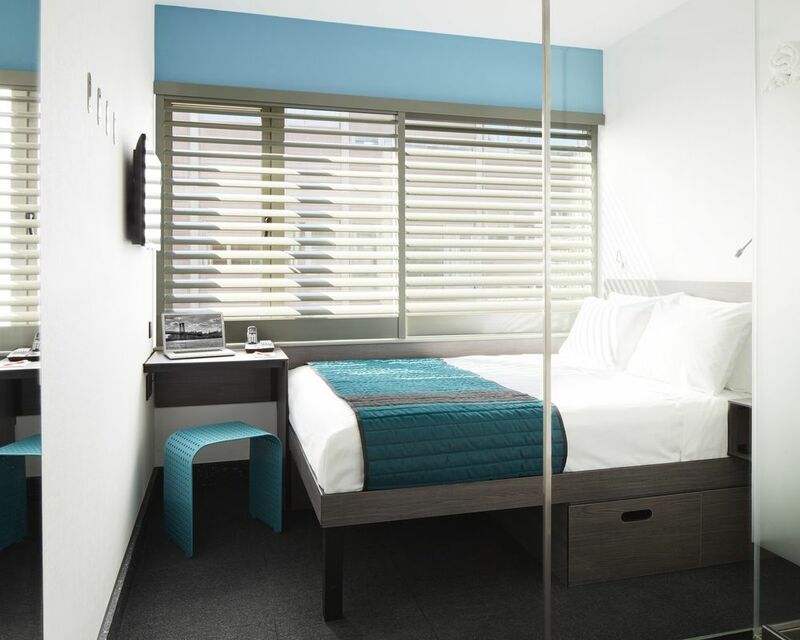 Yotel’s options are perfect for the budget traveler that needs a post-flight nap or a clean, safe place to drop their bags (and maybe sleep) on a long layover. Since their hotels were designed with travel in mind, they offer complimentary Espresso coffee, tea, hot chocolate, and water, along with free wi-fi. If you’re a traveler that enjoys the benefits of rewards points, the Marriott brand Moxy will appeal to you. Not only can you use your Marriott Rewards points to stay at this contemporary hotel that boasts a 42’ television and cushy bed, but their hotels are in the U.S., Europe, and Asia. With all these benefits, would you give up space for a cost-effective, beautifully designed hotel?